Several surveys found that 75 to 88% of American women dye their hair and most said they felt more confident and better looking with better hair color. The American Cancer Society voiced concern over cancer risk in frequently using semi-permanent and permanent dyes. Temporary dyes only cover the surface of the hair and do not penetrate the hair shaft. They usually last up to two washings so they are regarded as safe to use. The more permanent dyes penetrate the hair shaft as they last longer so chemicals are absorbed through the skin. Natural hair dye is one of the healthiest ways to start looking great as they do not contain harmful chemicals, such as peroxide and ammonia. Using natural dye out-weighs the advantages of chemical dyes but set your expectations accordingly as you may not achieve a specific, consistent shade of color every time. If applied correctly, natural hair dye will give you decent coverage with a rich color and shine. Expect that and you’re much more likely to be satisfied with your results. 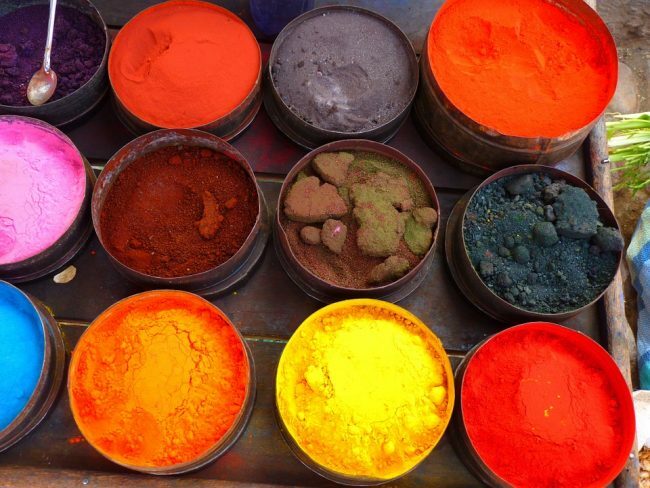 Henna is a natural ground powder forming a red-orange dye. Other plant-based dyes are added to create colors like red, brown and black. It’s important to note that Henna cannot lighten your hair. Take half a cup of Henna Powder, half a cup of hot water, a teaspoon lemon juice or Apple Cider Vinegar, one tablespoon ground cinnamon, and five drops of hair oil (or coconut, olive, etc.). The easiest method for walnut dye is to use black walnut hull powder. Add up to five tablespoons of the powder, depending how dark you want it, and three cups of boiling water. Let it steep for several hours and then massage the mixture into your hair. Allow it to sit for up to 20 minutes and then rinse. What teenage girl hasn’t tried this one? This popular, natural hair dye has been used for decades to lighten hair or add blonde streaks. This age-old recipe is one cup of lemon juice mixed with a quarter cup of water. Simply spray it onto your hair and leave for a few hours with sun exposure. Lemon juice is photosensitive and the sun intensifies the effect.